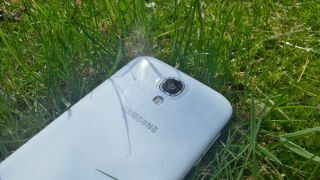 The arrival of the much rumoured Samsung Galaxy S4 Zoom is becoming more and more likely as details on the handset begin to leak around the world. Although the leak doesn't give away a great deal, it looks like the Galaxy S4 Zoom is set to sport a 125.3 x 63.3mm frame with NFC, Wi-Fi and Bluetooth 4.0 all inside - although 4G compatibility remains a mystery. Ahead of Samsung's June 20 event in London, why not focus your attention of some more blips.